Emotional loading is a stronger stress factor in horses than exercise, according to Ukraine researchers. They recorded more negative metabolic changes in horses after emotional stress than after exercise. Trainers should take this into account when working with horses to enable them to cope, the researchers suggested. The authors, T.I. Bayeva and G.F. Zhegunov, from the Kharkiv State Zooveterinary Academy, reported their findings in a paper entitled “Influence of physical and emotional activity on the metabolic profile of blood serum of race horses”. The paper, carried in the journal Visnyk of Dnipropetrovsk University. Biology, Ecology, is published in Russian and Ukrainian, with a limited overview in English. The pair set out to explore biochemical changes to the metabolic profile revealed in blood samples taken from horses of the Ukrainian riding breed following physical loading and then emotional loading. 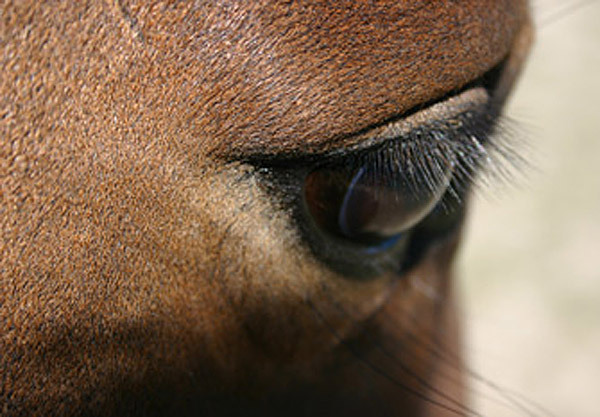 Twelve horses from a training group were used, all of whom were clinically healthy. These horses were not specifically employed in races, but were mostly used for the training of junior riders and sportsmen of different levels. Blood samples were taken from the jugular vein in conditions of relative rest after ordinary training, they said. Samples were again taken after the emotional stress of being involved in entertainment performances, during which a large number of people were present and loud music was played. Bayeva and Zhegunov analysed a raft of biochemical indicators in the samples, including whole protein, urea, creatinine, uric acid, total bilirubin and its fractions, glucose, cholestererol, triacylglycerol, calcium and ferrum lactate. They said they were then able to determine reasonably accurately the adaptation of the horses under exercise and emotional loading. The pair outlined what they described as multi-directional changes in the level of biochemical indicators in the blood serum, which was evidence of stress in the metabolic processes. The pair outlined a series of other changes which led them to conclude: “Emotional loading is the stronger stress factor which causes negative changes in indicators of the metabolic profile. Maybe that’s YOUR relationship with animals, but it certainly isn’t everyone’s. There are many who want only good things for their horses, and articles like this help greatly to educate us and to help us pass on good information to those coming up under us.